A capsule is an item which can contain up to 100 other items. A capsule consumes one slot in your inventory for itself, plus one for every item inside it. (Thus, putting items inside a capsule does not save any space in your inventory.) Any items can be placed inside a capsule except premium items or another capsule. To use a capsule, select it from your inventory and tap “Manage.” You will be shown a screen with the capsule’s contents at the top and your inventory at the bottom. Each has an interface similar to that used in inventory and key management. There is also a toggle at the center-right to switch both areas between items and keys. To perform a transfer, swipe left and right to find the item(s) you wish to transfer. With the key filter selected, you can use the control to the right of the “Close” button to sort them by name or distance from your current location, making it easier to find the desired key. Once you’ve found an item to transfer, tap it. An arrow will appear, showing the direction of the transfer. Tap the “-” and “+” buttons below to change the number of items to transfer. You can also use the “Select All” button to the right of the “+” button to select all of that item to transfer. After selecting the number of items to transfer, you can swipe left and right to find more items to queue for transfer. The total number of items to be transferred is displayed below. After you have selected all the items you wish to transfer, tap the “Load” (or “Unload”) button at the bottom to execute the transfer, or tap “Cancel” button to clear the transfer queue and start over. Premium items (those which must be purchased from the store) cannot be loaded into a capsule. Capsules are handy for transferring gear to another agent. Load up the capsule with the items you want to give them, then drop the capsule for them to pick up. Just make sure an enemy agent doesn’t swipe the capsule! Capsules have a unique randomized ID (shown below the word “Capsule” on the capsule’s inventory card and above the count of items inside the capsule on the transfer screen) that can help you distinguish one from another. Items contained in capsules are not usable in any way: resonators can’t be deployed, mods can’t be installed, XMPs and ultra strikes can’t be fired, keys can’t be used for linking or recharging, etc. They take up space in your inventory, but that’s it. If you wish to use an item in a capsule, you must first unload it from the capsule into your inventory. There’s an upside to this, though: a portal won’t drop its key if you already have one for it in your inventory, but capsules “hide” keys from portals. So one way to farm more keys for a portal, place all existing keys you have for it into a capsule before hacking (although it’s easier to simply request a key using the Hack button submenu). Recycling a capsule grants you 100 XM for the capsule itself, plus the recycle value of everything inside it. If you’re willing to sacrifice the capsule, you can load it up with gear you don’t need and turn it into a ghetto power cube. However, it’s generally best to use actual power cubes for this purpose, and give your extra capsules to agents who need them. Your inventory already contains 2,000 or more items. The capsule already has 100 items in it. The capsule is on the ground instead of in your inventory. The capsule contains only very rare items (which do not duplicate). Capsules are independent of one another; you will often find that one of your capsules has duplicated an item while another has not, even when their contents were identical. Items duplicate at differing rates. In general, item with higher hack rates duplicate more frequently. This means that the ideal item count to keep in your capsule would depend on the average hack rate of the items in it. The exact duplication rates have changed over time, and we do not have current estimates for them. Very rare items do not duplicate at all. Duplication is random. It’s entirely possible to get no new items one day and several the next. The more of one item you put in a capsule, the more likely it becomes that it will be selected for duplication. Adding or removing items does not reset the duplication timer. An item’s level seems to have no bearing on its duplication rate. The quantum capsule was originally known as the MUFG capsule, as it was sponsored by Mitsubishi UFJ Financial Group and adorned with their logo. It was first discovered in the Ingress 1.78.0 APK teardown. The MUFG variant was hackable with greater frequency from MUFG bank portals. On 31 July 2017, reports began to surface that the MUFG capsule was no longer hackable from portals. Ingress community manager Andrew Krug later confirmed that “MUFGs are experiencing some kind of change within the portal network,” and hinted at the future emergence of another capsule variant. On 11 December 2017, the quantum capsule was announced that the MUFG capsule was to be discontinued, and a new, unbranded capsule called the quantum capsule would be released. 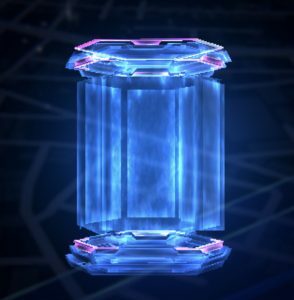 It included an image of the capsule as it presumably will appear in Ingress Prime. 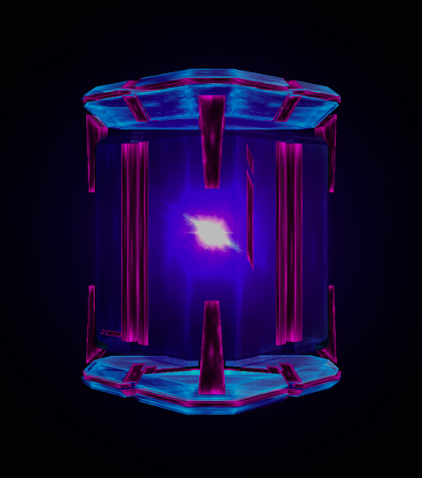 With the release of version 1.129.2, all MUFG capsules in Ingress Classic were converted to quantum capsules, but the new capsules remained unhackable. On 18 January 2018, a post on Investigate: Ingress indicated that quantum capsules were becoming hackable again. On, 30 November 2018, Niantic announced that very rare items would no longer duplicate. Before this, they did duplicate, although very slowly. The Ingress 1.83.1 APK teardown revealed a new premium capsule called the key locker (known at that time as a key capsule). Unlike the regular and MUFG capsules, the key locker can only contain keys, but its contents don’t count against your item cap. One key locker can hold up to 100 keys. Thus, buying a key locker effectively increases the amount of gear you can have by 100. The key locker is ideal for hoarding large numbers of keys for a future operation, or for keeping souvenir keys for interesting places you have visited without using up inventory space. There are five regular key lockers, each a different color (blue, green, red, white, and yellow) and each costing 3,700 CMU. You can have only five of them in your inventory, although you can have more than one of the same color if you want. You can buy a pack of five key lockers, which gives you one of each color and sells for 14,900 CMU. If you purchase a single key locker, the pack of five becomes unavailable for purchase (since doing so would put you over the limit of five). A special edition key locker is only obtainable as part of a special event. Thus far, there has only been one, a red and black key locker that was made available as part of the free Year 5 Pack. Only one was available per agent. At this writing, then, it is possible for one agent to have a maximum of six key lockers. As with all premium items, key lockers cannot be hacked, dropped, or recycled. Once you obtain one, you can’t get rid of it. As it is both a capsule and a premium item, a key locker cannot be inserted into another capsule. Note that you can unload keys from your key lockers at any time, even if you are already at item cap. Thus, it’s entirely possible to load up six key lockers, max out your inventory, then unload them and end up with 2,600+ items in your inventory. No matter what, though, the key locker itself counts as a single item.